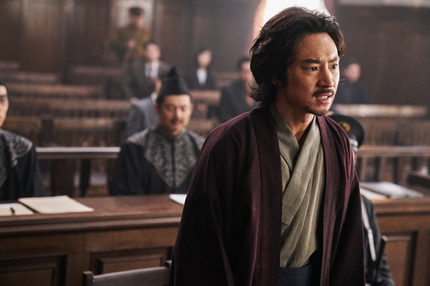 Gearing up for it's 13th edition, Osaka Asian Film Festival today announced it will kick off proceedings on March 9th with the Japanese Premiere of Korean film Anarchist from Colony. A sizeable hit in its native country when released last year, the film comes courtesy of director Lee Joon-ik whose knack for period historical dramas led to earlier success with Dongju: The Portrait of a Poet and The Throne. The festival opener stars Lee Je-hoon (The Phantom Detective, Architecture 101) and Choi Hee-seo, who worked with the director on Dongju. Osaka Asian Film Festival 2018 will take place from 9th - 18th March and feature a diverse selection of titles chosen from across Asia. Watch the trailer for their opening feature below. In 1923, during the Japanese occupation of Korea, Koreans who live in Tokyo are severely exploited by the Japanese. After the Great Kanto Earthquake strikes, people descend into chaos. To calm the people’s anxiety, the Japanese Cabinet decides to randomly arrest Korean men. Among these innocent Korean men, the officer Mizuno arrests a young man named Park Yeol as an example. However, Park throws the entire Cabinet into confusion by revealing the extreme scheme he had planned with Japanese Anarchist Fumiko: “Kill the Crown Prince of Japan”.